WCM is fueling the future of motorcycling by increasing the participation of females across all disciplines of the sport. “Best Road Story” Contest Round 1 Winner! 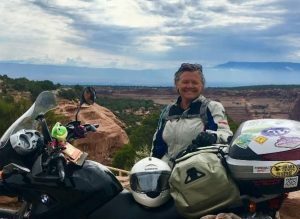 The Women’s Coalition of Motorcyclists (WCM) announces the first round winner of the BEST ROAD STORY contest sponsored by Tamela Rich, author of Hit the Road, A Guide to Solo Motorcycle Touring. 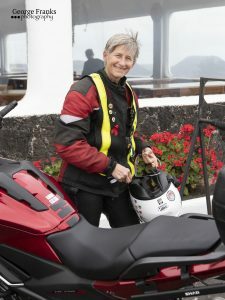 Tamela Rich and the Women’s Coalition of Motorcyclists are dedicated to doubling the number of female riders by 2020. 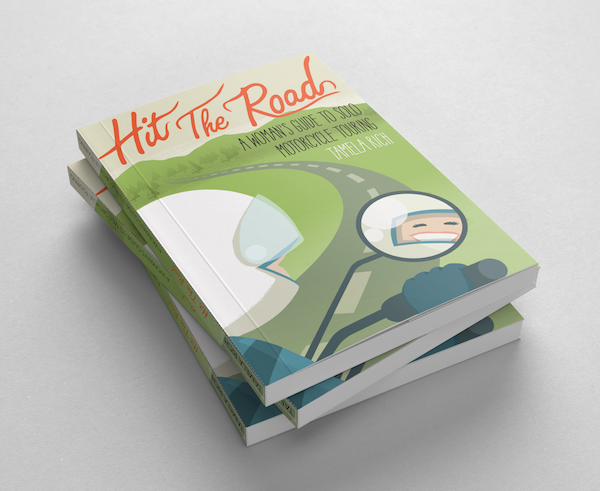 In pursuit of this goal, we teamed up to encourage women to share their best motorcycle road story to help inspire other women to get out and ride. A total of ten (10) winners will receive an autographed copy of Tamela’s latest book and get a feature in our quarterly newsletter. The WCM is grateful to everyone who applied for the scholarship. All were incredible candidates. The first round winner of the “Best Road Story” is Margaret “Peg” Preble, of Jamaica Plain, MA. Peg’s story is amazing and deserving of this reward. A highlight from Peg’s story includes, “…they were prying the screen off. This was before cell phones and I was a bit trapped. All I had was my tool kit.” To read Peg’s full story and to find out what happened be sure to read our December 2018 Newsletter. Sign up to receive the newsletter at www.wcm2020.org/memberships. This contest is available to all WCM paid members. 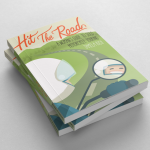 If you have an exciting or unique road story, enter the contest at http://bit.ly/WCMTamelaBookContest. The second round of our contest has a deadline of Friday, February 15, 2019 by 11:59 PST. Enter your best story! WCM’s Mission: The WCM will increase the participation of females in all disciplines of motorcycling as it grows the number of motorcyclists overall. Our goal is to double our numbers by 2020.